A light weight do-it-yourself canopy that is great for backyard parties, graduation parties, fundraisers, etc. A very basic structure supported by poles and ropes. Ideal for covering areas where center poles are undesirable, and suitable for hard surfaces such as parking lots where the number of tent stakes must be kept to a minimum. In some cases where tent stakes are prohibited, such as on asphalt, water barrels will hold these tents sufficiently. Try a tent liner to cover framework and create a beautiful atmosphere. They’re great for beaches as well! These tents feature graceful curves and peaks and are marked by the absence of framework. Instead they feature large center poles. They are esthetically pleasing with beautiful inner space. White vinyl tops finish the look. Inspired by the sea, our Tidewater Tents are constructed of sailcloth material and are an elegant alternative for fair weather events. With nautical flair, the sculpted peaks and eaves combine with a no-valance design, creating an open-air event space like nothing you’ve seen before. The translucence of sailcloth enhances daytime events with natural light, and positively glows when lit for evening gatherings. 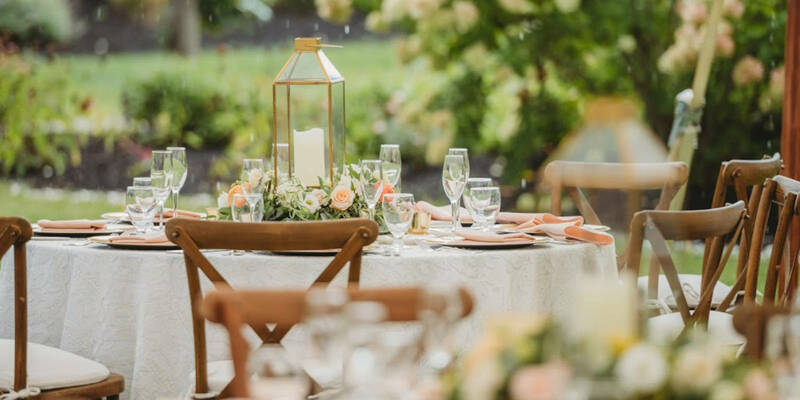 NorthEast Tent & Event Rentals is an event rental company that provides everything from tenting, tables and chairs, to china, flatware, and linen. From large weddings and corporate events, to graduations and home & garden parties we have the products, service, and attention to detail that will turn your event into memories that last a lifetime.